Cricket fans from all over the world can now start their journey to the world’s most iconic cricket events with the official ICC Travel & Tours Programme. 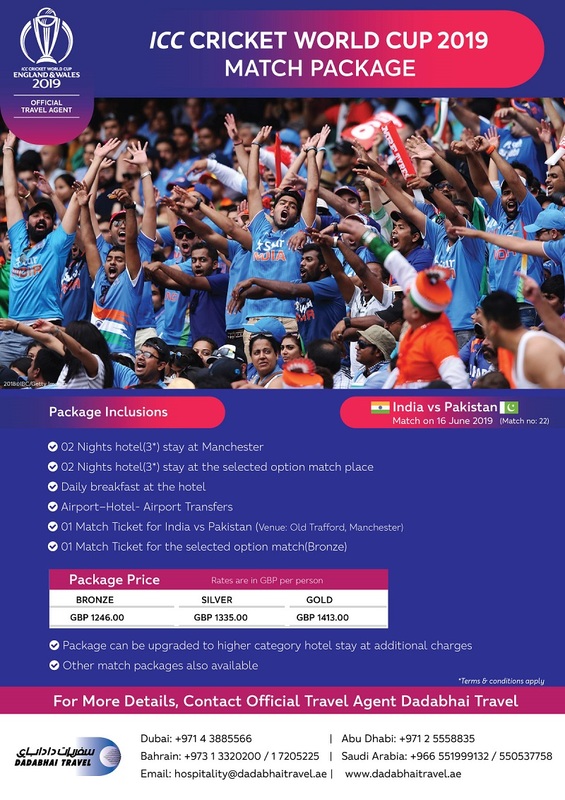 Guarantee your place and witness history with a ticket-inclusive travel package, including the ICC Cricket World Cup 2019 in England and Wales. Contact your Official Travel Agent Dadabhai Travel to book your place.